Washington, DC’s iconic cherry blossoms will soon be in full bloom and with them comes the National Cherry Blossom Festival and all it has to offer. This year's National Cherry Blossom Festival will take place from March 20 to April 14, 2019. In addition to the abundance of festival activities, various restaurants and attractions across the District have partnered with the festival to bring the spirit of the season to the entire city. 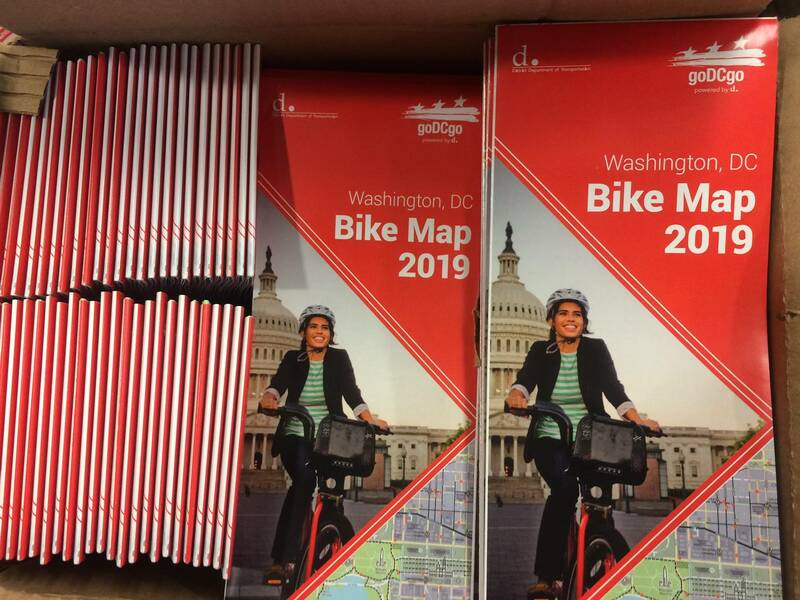 You may know that DC Circulator's National Mall route is the best way to get to the Tidal Basin, but it's also a great way to explore events and attractions across our nation’s capital. 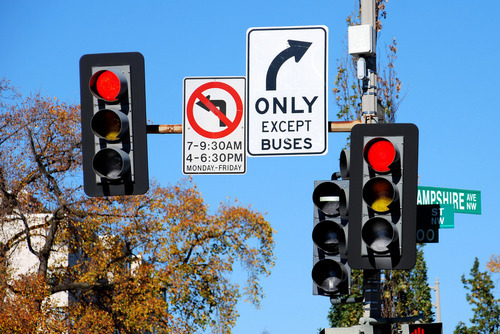 Six routes connect neighborhoods all over the city, from Georgetown to Downtown, Adams Morgan to Capitol Hill and beyond. DC is home to some of the country's most recognized and historical monuments, most of which are located within walking distance of the National Mall. From the Martin Luther King Jr. Memorial, to the Lincoln Memorial, to the Washington Monument, and even the new National Museum of African American History & Culture, the DC Circulator’s National Mall route can take you on a tour before dropping you directly to the Tidal Basin’s cherry blossoms. The District has an incredible variety of museums for you to explore both on and beyond the National Mall. From the National Air and Space Museum to the National Postal Museum, there’s a little something for everyone. Visit si.edu for more information on the Smithsonian museums, all of which are completely FREE to visit! Visit Destination DC’s website to view a list of museums throughout the city. From the designer row at City Center Downtown to Georgetown’s independent clothing boutiques, DC’s neighborhoods offer a diverse shopping experience. You’re sure to find something that suits your style! Ride the Circulator along any of these routes and the bus can carry all of your shopping bags for you! Need more ideas for exploring the city beyond the blossoms? Check out the exciting spring menu options with the festival’s Cherry Picks restaurants, many of which are located along DC Circulator routes. 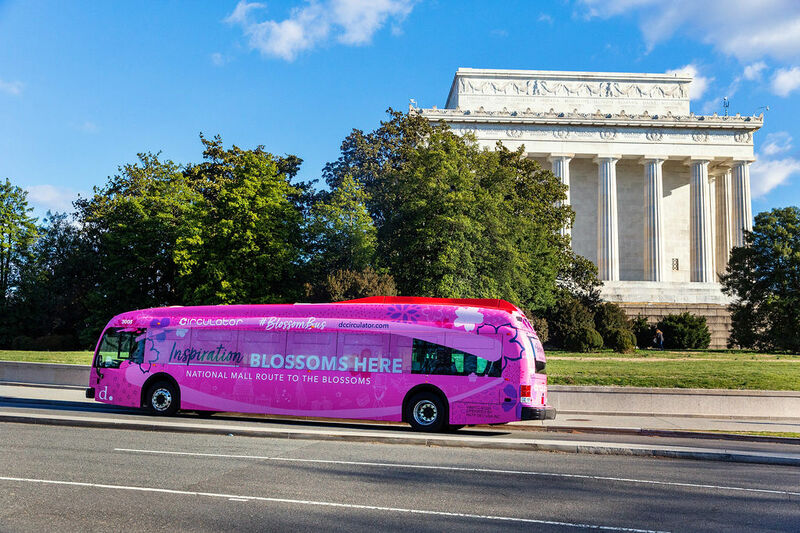 There’s all kinds of things to do in DC during the National Cherry Blossom Festival, so hop on the DC Circulator and explore the whole city in bloom!